In the summer of 1715 the Great Northern War grinds on for it’s 15th year. This major European conflict was eventually about the tsarist Russia together with Fredrik IV of Denmark and Augustus II of Saxony-Poland, who challenged Charles XII of the Swedish Empire, which at that time held significant proportion of Northern, Eastern and even Central Europe. As the war dragged on, Charles XII took every opportunity to hack at Peter the Great’s sides. The all-important trade to and from St. Petersburg was an obvious target, and Charles XII proceeded by facilitating privateering rights quite liberally to anyone willing and daring enough to pry their share of the rich trade. Baltic trade, especially to St. Petersburg was mostly in the hands of Dutch and British, who had substantial merchant fleets available. Soon enough the losses to privateers became so huge, that Dutch and British rulers had to act. George I, the King of England at that time, and also the Elector of Hannover, decided to cunningly swat two flies with one strike. By forming suitable alliances with anti-Swedish rulers in the war zone, and by closing a pact with the Dutch, he was able to strengthen his own position, and especially the situation in Hannover considerably. And since business is business, the Dutch and the English briefly set aside their own disagreements, and provided a combined fleet of men-of-war to protect a big convoy of merchantmen to St. Petersburg during the summer of 1715. As a commander of this fleet, George I appointed Admiral Sir John Norris. Norris led his combined fleet to the Baltic, and succeeded in providing safe passage for the merchantmen. Norris was under a difficult and somewhat confusing orders from his King, which also differed from those given to the Dutch naval leader, Admiral De Veth, who was instructed to only protect the merchantmen from piracy, but not to interfere with any parties of the war. Despite these complications, Norris managed to shift the balance of naval power in the Baltic Sea so that the Swedish Navy couldn’t operate at will, and subsequently failed to protect and transport Swedish forces. Norris was to return to the Baltic for several summers to come, as an appointed deputy by Peter the Great himself, to protect the merchantman convoys and attack the Swedish fleet. The summer 1715 was however exceptionally stormy. 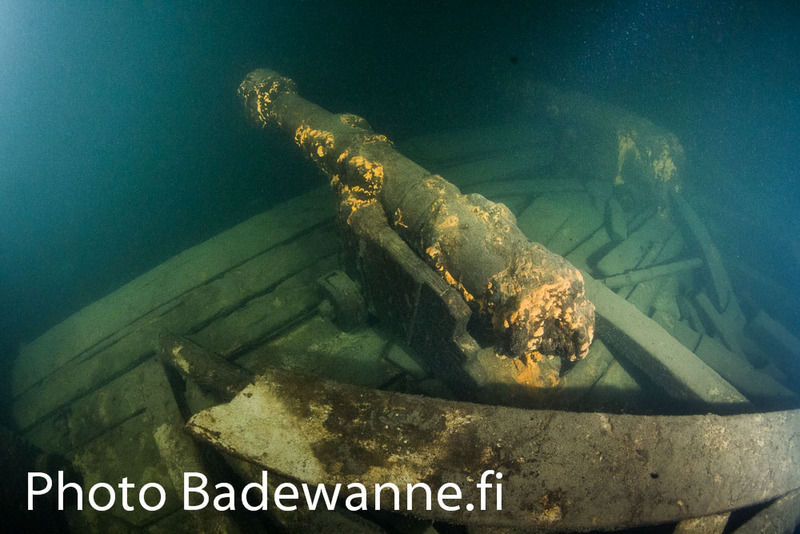 In a very bad weather on August 25th, the 125’, 35’5’’ beam (main deck length x main deck internal width), 40+ gun Dutch frigate Huis te Warmelo, serving in convoy duty for a fleet of merchantmen, struck rocks near Kallbådagrund in the Gulf of Finland outside the town of Porvoo, east of Helsinki. She managed to get off the rocks, but sprung a bad leak, and despite clearing her way to deeper waters, sank with considerable loss of crew. Based on varying sources, some of the crew survived. In 2002 the Finnish Transport Agency found an anomaly during a routine multi-beam bathymetric survey. 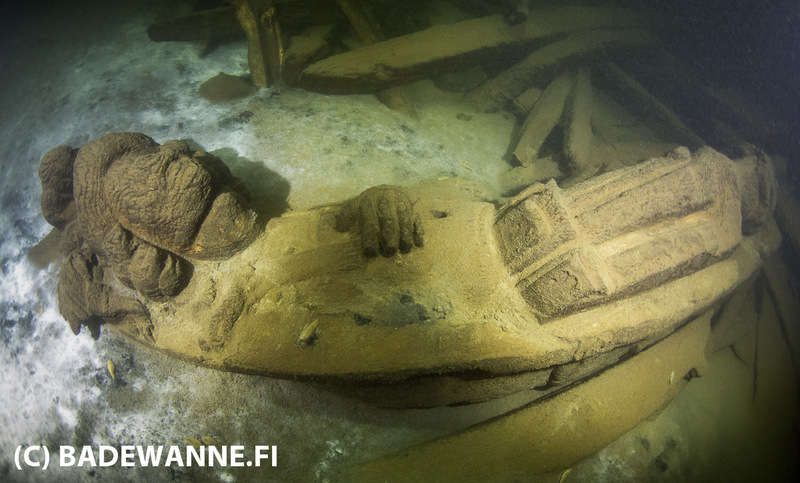 The location was roughly one nautical mile east of a major shipping lane to Porvoo. After the find was reported to the Finnish National Board of Antiquities, Badewanne team was asked to inspect this anomaly, and subsequently we conducted first dives at the wrecksite in summer of 2004. Due to bad visibility at the site, the only conclusions that could be drawn were, that the wreck was a heavily armed man-of-war. 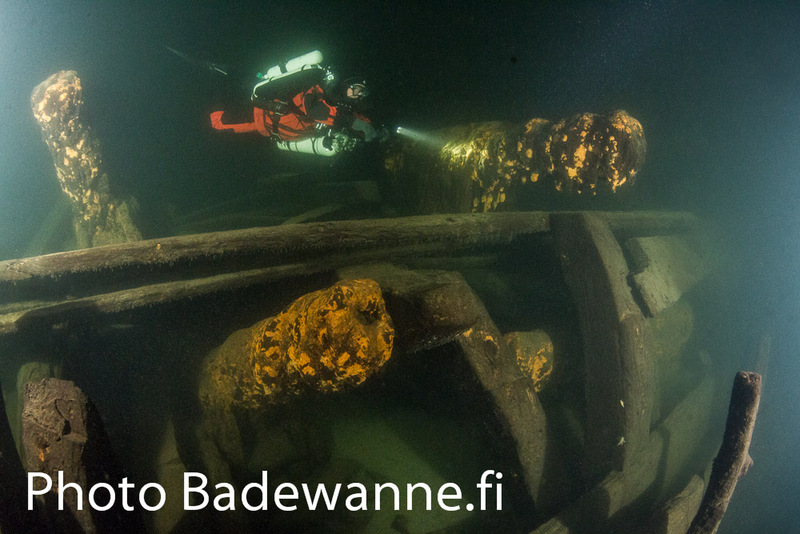 Video from those dives show a virtual forest of cannon barrels amid remains of deck and scattered ship timber, indicating the military nature of the wreck. 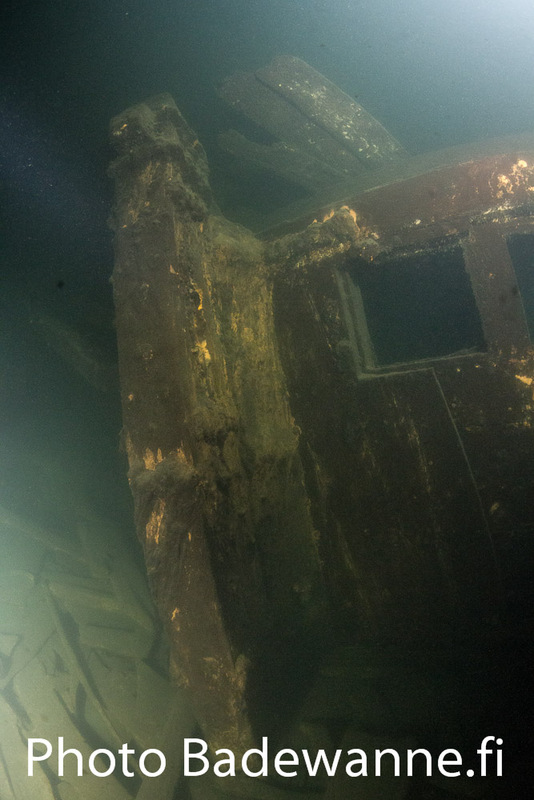 The wreck rests on the seabed heavily tilted (almost 45 degrees) on her port side. For the subsequent years the wreck became known as the “Frigate of Porvoo”. We dived the site next during 2006 and shot more video and some still images during dives. The visibility was still poor, and we didn’t really discover anything new. During the dives in 2011 we shot more still images, from which we could conclude that the vessel had three masts. The rudder was still intact, and the shape of the stern begun to take form. During 2013, we carried out a more detailed still photography of the cannons on the weather deck, and took some principal measurements. On the weather deck level the visibility was better than usual, but unfortunately a thick milky resuspension layer so typical to the Baltic covered the rest of the wreck preventing any further studies. 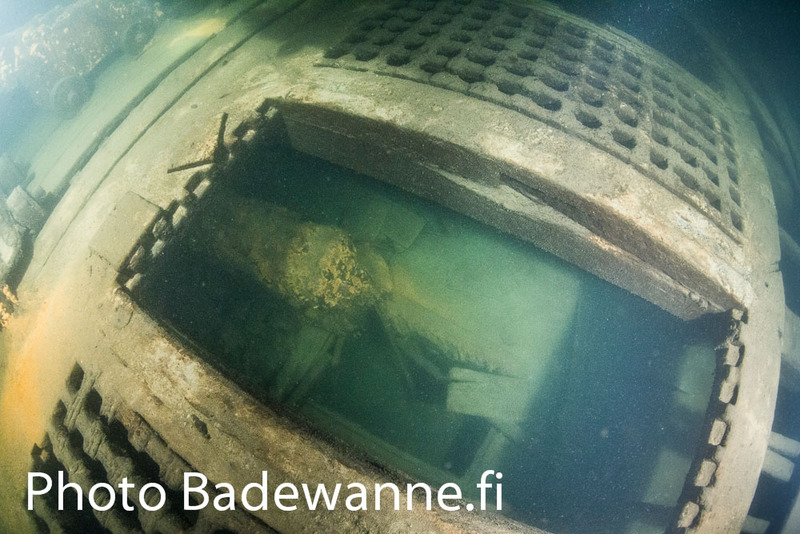 In 2014 Badewanne team visited the site again shooting more high quality video and still images on several dives, this time in relatively good visibility. We measured the width and length of hull, along with the stern. Also the position of deck structures and masts were measured in order to help the archival research. Utilising the video footage, we also estimated the number of cannons. We had dated the wreck back to the early 18th century after the first dives in 2004 and 2006. Between 2013 and 2014 we did literature research of all of Swedish, English and Russian men-of-war in order to find a possible match. 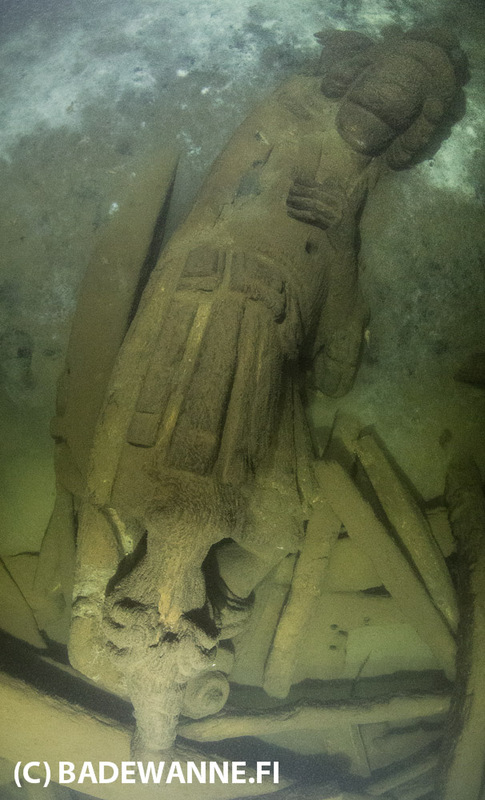 During this time we also contacted a number of researchers and maritime archaeologists. However, nothing seemed to fit the profile, which made no sense – that someone could just lose a vessel of this caliber without any mention of it in the written records. 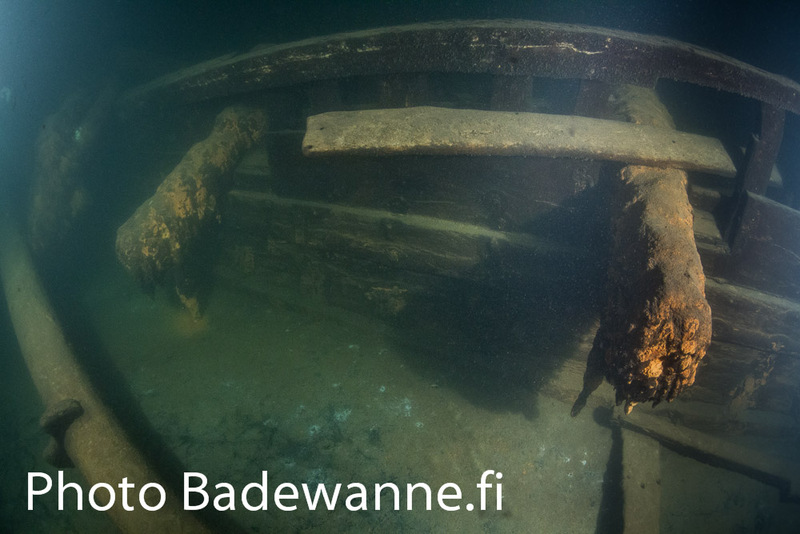 The wreck and further information can be found (in Finnish) from the national wreck register maintained by Finnish National Bureau of Antiquites (NBA). 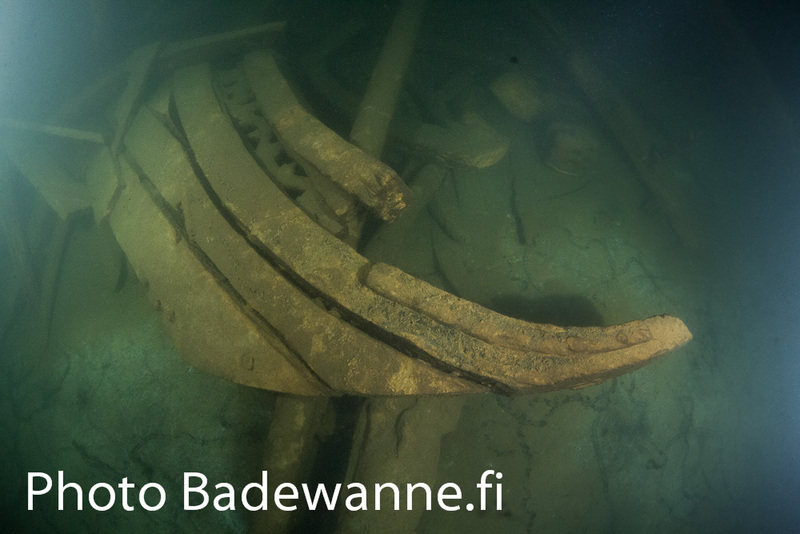 Big news concerning the Frigate of Porvoo hit the publicity in March 14th 2016. 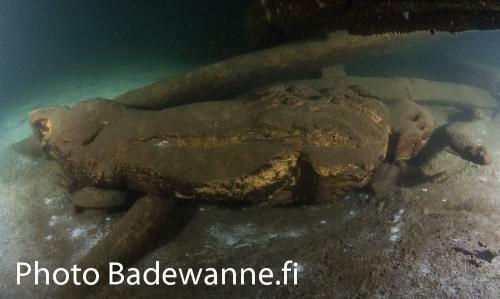 Based on an archival discovery made by Dutch historian Peter Swart, the wreck could very likely be a Dutch man-of-war named Huis te Warmelo, built in 1708 and lost in 1715, and belonging to the Admiralty of West Friesland. Huis te Warmelo was a two decker 40-44 gun 5th charter frigate of the admiralty Noorderkwartier. (In British ratings it would had been equivalent for a 4th rate ship). Huis te Warmelo was built by Cornelis Willemsz Blauwvlag at Medemblik 1708. Wrecked 1715 in the Gulf of Finland, dimensions 125 ft (35,38 m) x 35¼ ft (9,97 m) x 15¼ (4,31 m). Dimensions here mean the main deck lenght x main deck width and the third dimensions is the hold depth (not the draft). 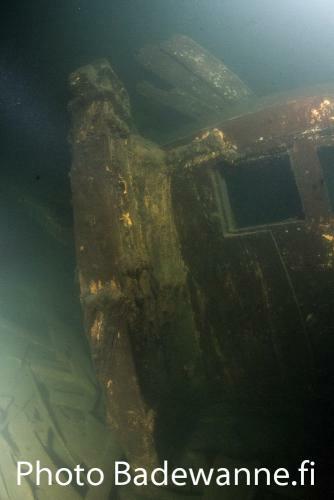 This “Huis te Warmelo” fits well to our observations on the wreck. Archive dimension 35.4 m means the main deck length, this fits nicely to our measurement for bow stem – stern to stem 37.2 m. Also our measured width of the weather deck, 8.3 m is in line for the main deck (the deck below the weather deck) width 10 meters. Other parameters as the number of cannons fit also. 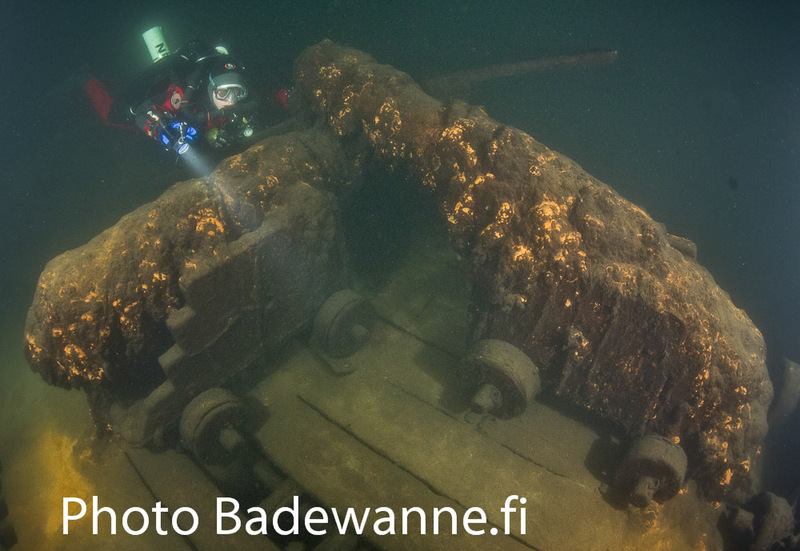 Extensive fieldwork will take place at the wreck site during the summer of 2016 under a permit from the Finnish National Board of Antiquities, in co-operation between Finnish, Dutch and Estonian authorities. According to Dr. Martijn Manders of the Cultural Heritage Agency in the Netherlands, the results of this research will be published after the wreck is positively identified and required reports are made to the guiding authorities in charge. What Happened After Huis te Warmelo was lost? The Great Northern War lasted until 1721, and decidedly changed the balance of power in Fenno-Scandinavia and North-Eastern Europe. Key players were the founder of modern Russia, Tsar Peter the Great, and Swedish Boy-Warrior king Charles XII, only 18 years old at the start of this conflict. It was definitely a conflict over who rules the Baltic Sea, the all-important trade route to and from Russia. This is further emphasized by Peter the Great founding his new Capital, St. Petersburg, in the estuary of Neva river at the eastern end of Gulf of Finland in 1703. The trade was hugely profitable, bringing much sought after high end manufacture items, and materials not yet available to bourgeois and nobility of the growing new capital, and carrying return cargo of tar, timber, hemp and grain to Europe. The first items on the list, especially hemp, were fundamentally important to great merchant and war fleets of England and the Dutch Republic, and were the main reasons for the British and Dutch Navies to willingly take the job of protecting the convoys. 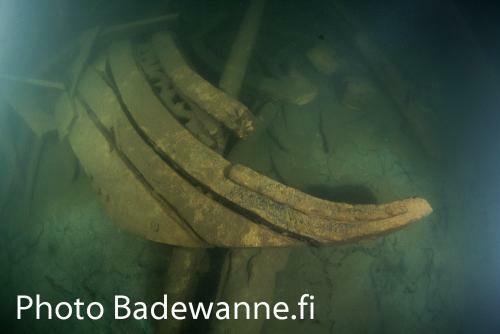 In the end, provided that the identity of the Porvoo Frigate indeed is Huis te Warmelo as we suppose based on all the evidence, again a forgotten and rediscovered wreck laying on the seabed of the Baltic Sea, preserved by its’ peculiar properties, reveals us interesting details of significant historical events. And hauntingly makes one wonder how much the world has changed in 300 years – or has it really? 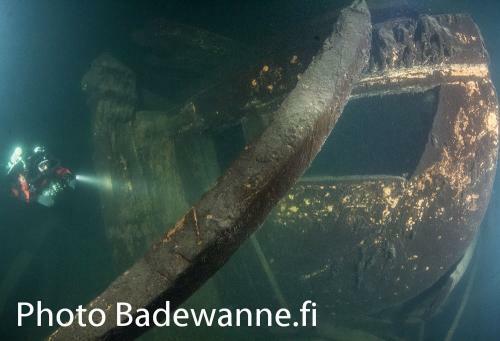 Badewanne diving team is a non-profit organization representing a group of voluntary divers that have been documenting shipwrecks in the Gulf of Finland (known during WW II as “Badewanne”) for more than 20 years. We are a multitalented team with a broad skill set of underwater video, still photography, drawing & painting, 3D modelling, underwater engineering, marine biology and environmental sciences.